The following article is being republished here with permission of the author, Eric Sapp. This was originally entitled "Glenn Beck Backtracks After Seeing AVN "Rand vs. Jesus" Ad," and it was published on the Huffington Post. Sapp is a founding partner of the Eleison Group. Apparently Glenn Beck's attack dogs are not aware of this change on Beck's part. ﻿Perhaps the cold spell we're experiencing in DC originated from a realm much farther down beneath the earth that just froze over today. Glenn Beck just changed his mind on Ayn Rand! This was Beck back in June 2010: "Ayn Rand, you've got to love Ayn Rand. She's great." 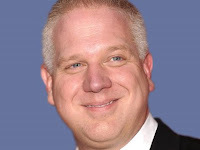 And this was Glenn Beck Monday, June 13: "I think Ayn Rand... because she hated religion so much -- became a bigot." He also agreed with his guest who said, "the problem with Ayn Rand, what bothers me... she becomes self centered. She becomes selfish." So why the change in heart... or at least in tone? Beck had just watched and was talking about AVN's "Rand & GOP vs. Jesus" ad that has been getting so much buzz and over 70K views on YouTube last week alone! And lest you were so shocked by Glenn Beck's about-face on Rand that you missed the implications of what he said -- the political philosopher he is calling a bigot is the same one whose "morality" and "thinking" Rep. Paul Ryan said we need so much more of and the author of the book Sen. Ron Johnson said is his political "foundation." Do you see why I've been saying this could be a game changer? Lest folks get too excited (or worried) by all this agreement from Glenn Beck with our position, he's only taking baby steps and hasn't come fully around. He went on to bash AVN for being liberal and supporting social justice and called us a bunch of other names. And instead of following Conservative Christian icon Chuck Colson's advice and telling Christian listeners to "stay away" from fans and supporters of Ayn Rand, Beck concluded by warning his listeners not to be taken in by our slick ploys: "They are trying to separate us from each other. Don't be fooled!" "United we stand, divided we fall." So true! United they stand, and divided -- with their Christian base's eyes open to how much they actually disagree with the Tea Party folks GOP leaders are asking them to follow and march beside -- they will fall. There are obvious political implications to all of this, and one would think that if Ralph Reed is dedicating an entire conference to covering up divides between the Tea Party and Christian Right, Democrats and Progressives might want to look at why that is. When Tony Perkins urges conservatives to stop "endless squabbling over priorities" and Haley Barbour "implores social conservatives to unite behind the eventual nominee instead of splintering or staying at home," don't you think we should be paying attention to this divide they are trying to mend (thanks to Amy Sullivan's great Twitter feed @SullivanAmy from Ralph Reed's "Faith and Freedom" Convention for both those quotes)? But there is another and more important reason to highlight this hypocrisy, which is why AVN took on this issue. The debate around Ayn Rand directly addresses the question of where we are headed as a country and the kind of America we want our kids to grow up in. As a Christian, I think this conversation will lead to a more honest, open, and effective discourse about how we apply faith in the public square. And with that, a better Christian witness that is truer to Christ. But whether someone is part of the Judeo-Christian tradition or not, whether they have faith or not, I think the vast majority of us will agree that Rand's vision of America where selfishness is the greatest virtue and compassion and love of neighbor are some of the worst evils... this is not the America we want. In the Bible, we're taught to look at the "fruits" of a person's action to decide whether they are to be trusted or not. For many, it's obvious that the fruits of the Ryan budget are rotten. But what our ad highlights is that it is not just the fruits of the Ryan budget but also its roots that are bad. Ryan's political inspiration was a deeply troubled and shriveled soul who taught a political philosophy anathema to so much that has made America great and what we aspire to become as a nation. To some voters, they will recognize this by seeing the fruits of her teaching when it serves as the basis for policy. But to others, especially moderates and many in the GOP Christian base, it'll take them seeing that the "roots" are bad to open their eyes to the problem with the rest. That is why this ad is getting so much attention and why the Right is so worried about this issue. And it's why we need to get this ad up on TV!